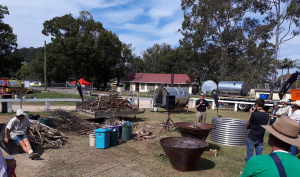 The Australia New Zealand Biochar Conference 2017 took place at Murwillumbah Civic Centre and Showgrounds, NSW, Australia from 10th to 12th of August. Information about the program and presenters is available from the conference website. My overall impression of the event was very positive. A lot of very exciting information was presented in a crammed schedule. A bit too much to take in one bite so I’m looking forward to reviewing the presentation feeds when they are made available online. There were a few glitches with live broadcasting so there will be some disappointed folk who signed up for this. They will hopefully get access to the recordings soon. I don’t have the final list of attendees but I’m guessing 15-20 of the ~150 registered attendees were from NZ. The 3rd day was located at the showgrounds where production technologies were demonstrated and application workshops were conducted. 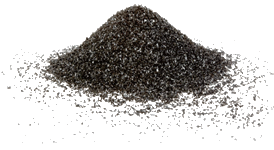 I hope to write some more soon about biochar industry development pathways in NZ. If you have thoughts on this subject, please get in touch. It was certainly intensive, but the value of the speakers and the shared information was invaluable. The main thing I got from discussions with others participating is that we have to upscale this exciting industry from a hobby scale to a commercial scale to involve our agricultural sector in the multiple benefits of char in every day practice. The other factor, especially facing our Aussie counterparts, is the political and enviromental constraints and controls. One of the other exciting things to come out of the conference was the formation of the ANZBC initiative. I look forward to the growth of this in time to come to give us a collective voice. Thanks to you Trevor and the perservance of your site I was able to know about and attend this conference.